Are you looking for the best wireless lavalier microphone for film? Ones that can enable you as a Videographer or Filmmaker to produce videos that have the best audio quality instead of relying on your camera's inbuilt microphone? We have rounded up the best lavalier microphone on Amazon which can enable you to make videos with appreciable audio quality that will capture your audience's attention. For interviewers, these mics hold a promise of providing a crisp and clear sound, thereby taking away the need to have someone follow your subject around with a microphone. If you’re in the never-ending battle of replacing microphones because of breakage in audio due to interference or low sound quality, that can be a thing of the past. A wireless lavalier mic specially designed for professional videos, films, and documentaries, is built to last and it covers a long range in order to ensure that sound is amplified even from a distance. These mics can also be used in churches or classrooms and you can be assured that the battery will not run out in no time and neither will the signal be lost after moving a few feet away from your setup. But more about that later!. Benefits of a Wireless Lavalier Mic? How Were These Microphones Selected? A lavalier microphone is a miniature and unobtrusive microphone that amplifies the sound of the person speaking. Also known as lav, clip mic, lapel mic, or body mic, this dynamic microphone derives its name from the fact that it can be hooked to a lapel of a coat or clothing to allow for a more hands-free operation. A lapel microphone can be mounted on the speaker's clothing in places such as the collar, tie, or placed in the hair above the forehead (in theatres) in order to enhance audio quality. But generally, you'll find them placed between the speaker's chest and neck with a certain distance given between the mic and the chin in order not to tamper with audio clarity. Lav mics can be used for public speaking in schools, churches, offices etc., for creating quality Youtube videos, and for filmmaking, television broadcasting, and sports anchors. Lavalier lapel microphones are of two different types, and they are either a wired or wireless lavalier microphone. A wireless lavalier microphone has a battery powered radio transmitter and receiver. Here, the cord of the mic is connected to a radio frequency transmitter which wirelessly sends audio signals to the receiver connected to a camera or recording device. At first thought, you'd think that these are lavalier mics that do not have cables, but that's not entirely true. A similarity between a wired and wireless lavalier microphone is that they both have cables running from the mic, but their connection to the receiving device differs. A wired lav mic's cable is directly connected to the mic and the recording device, but a wireless lav mic is physically connected to a transmitter that connects wirelessly to the reciever. If you're wondering, how do wireless microphones work? Read on and you'll find out! The operation of a wireless lavalier microphone involves the conversion of sound into radio signals which are then transmitted from the radio frequency transmitter to either a VHF or UHF receiver. 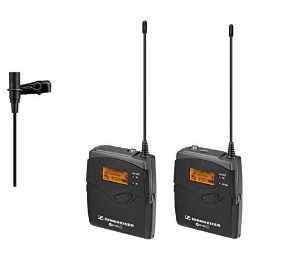 The VHF and UHF systems are the different types of wireless receivers employed in lavalier microphones and what they do, is to convert radio signals into live audio that can be heard through the sound system. A Very High Frequency (VHF) receiver covers an operational range of 30MHz to 300 MHz while an Ultra High Frequency (UHF) receiver has a range of radio frequencies between 300MHz and 3000 MHz. If your wireless lavalier mic uses a UHF system, the line of sight between the transmitter and the receiver before the signal is lost will be greater than that of a VHF system. Alternatively, covering more operational range means that it will tend to consume more battery power than a VHF system, hence its battery life is usually shorter than the latter. Now the lapel microphone can come with either a single or multi-channel receiver, and each determines the number of wireless mics that can be connected to it simultaneously. A polar pattern is the field of vision of a microphone where sound can still be picked up and it is determined by the mic's width of panorama and depth of field. There are several polar patterns of lavalier microphones and each describes how the microphone diaphragm picks up audio sound produced by the performer. Lavalier mic pickup patterns can either be omnidirectional or directional. An omnidirectional microphone is sensitive to sound waves coming from different directions because its width of panorama is spherical. It has an unlimited field of vision and irrespective of where the mic points to, it can still pick up a sound and the sound level may only be affected by the distance between the speaker and the mic. When it comes to wireless lavalier microphones for Film, this polar pattern is best suited because the mic can still pick up sound even if the speaker turns their head in a direction opposite to the mic. 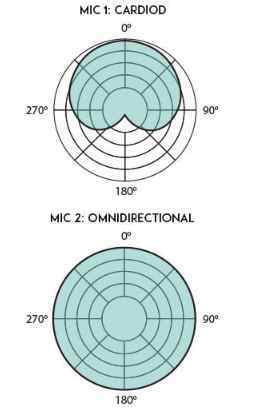 A cardioid mic is a type of directional lavalier microphone that is mostly used in live sound reinforcement and music production. This microphone diaphragm has a limited field of vision because it is most sensitive to sound coming directly in front of the microphone capsule (0º). It may become less sensitive to sound coming from the sides (90º/270º) and insensitive to sound coming directly from behind (180º). An advantage to this is that it will be able to isolate background noise better than an omnidirectional microphone that tends to pick up sound in all directions. Asides this, others include subcardioid and hypercardioid polar patterns. There are several benefits of using a lavalier microphone over a regular microphone. These advantages have brought about their popularity in all works of life and as such, if you haven't yet taken advantage of them in your filmmaking, then here are some reasons why you should buy a wireless lavalier microphone for film. 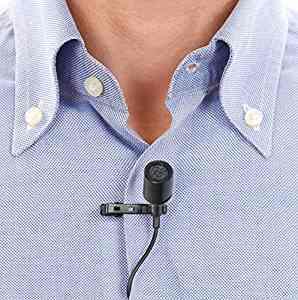 Wireless lavalier microphones are small and as such, when placed near a sound source, they are conspicuous enough to blend into your clothing. You can tuck the mic's wire under your cloth and attach the transmitter pouch to your belt or conceal it under your skirt. Despite their size, they can still enhance audio quality while at the same time freeing your hands to demonstrate, write, and type. You can also move around freely while you speak. Thus, their nonobstructive nature makes them suitable for filmmaking since are they can be securely fitted, allowing your talent to sit back comfortably. If you could own a mic that is almost invisible to an onlooker, does not cause any discomfort, and still does what it claims efficiently, would you pick it over a handheld microphone? The inbuilt mic on some cameras can amplify sound to the best level. While they can give crisp and clear sound, some may still tend to record the noise that your camera produces and that includes spinning of the hard drive, lenses focusing and whirring of tape motors. A good wireless lavalier microphone for film will only amplify the speaker's voice and not that of the background, thereby allowing you to shoot videos even in a noisy location without affecting your video's audio quality. While a portable wireless lapel microphone for film will allow the performer or speaker to move around freely without worrying about tangling cables, it also maintains audio sound as they move. With handheld mics, audio quality may be affected as the speaker moves since the distance between the mic and the speaker will change. One such as a wireless Bluetooth lapel microphone that has been fastened to a clothing, will tend to turn alongside with the speaker. Even with wired lapel microphones, your movement is restricted due to physical cables, but a wireless lav mic reduces trip hazards that may occur. Instead of buying just any wireless lavalier microphone out there, you can find one that is tailored to meet your needs as a videographer. That's what we hope to achieve with our guide to the 5 best Lavalier microphones for film in 2018. The Sennheiser AVX microphone system ( MKE2 Lavalier Pro Set) is one of the best wireless lavalier mics for film. 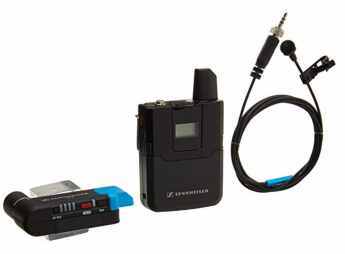 Designed for professional videos, reality shows, weddings, and documentaries as well as street interviews, this body mic is manufactured by the German company, Sennheiser electronic GmbH & Co. KG. The brand name, Sennheiser is popular when it comes to Wireless TV headsets, bone conduction headphones, and even Wireless DJ headphones with Bass, and now, much can be expected from their lavalier microphone. If lavalier mics are meant to be small, inconspicuous, and concealable, then this guy has got all these options ticked. You'll find an AVX handheld microphone, lavalier mic, bodypack transmitter, and a digital wireless receiver packaged as a set in this system. This wireless setup ensures that you don't have tangling cables to deal with as is the case of wired lavalier microphones. You can walk around freely with this lapel mic concealed underneath your cloth. You can easily set up this mic since the system can automatically configure itself when plugged into a camera and as such, it is a Plug and Play body mic. The AVX lav microphone's receiver can be connected to the XLR audio input of your recording device or camera. On connection, it takes advantage of a P48 Phantom power to automatically turn ON or OFF the mic depending on whether your camera is ON or OFF, and this in a bid to manage battery power efficiently. Neither will you have to manually turn on/off the mic nor worry about a short battery life. 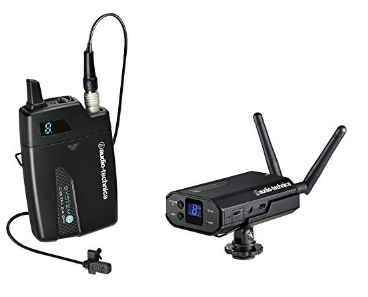 Other than being suitable for filmmaking, this is also one of the best wireless lavalier mics for DSLRs and camcorders because it comes with accessories to support both. According to Sennheiser, this mic's sensitivity can be likened to that of your inbuilt camera's microphone because of its dynamic operational range between the transmitter and receiver. You can expect a perfectly leveled sound whether it's quiet or very loud you are not required to manually adjust the volume on the mic because the AVX matches to your camera's input sensitivity. To minimize distortion and provide quality audio transmission, the AVX automatically selects the best operating frequency and then switches to an ideal channel. Moreover, it can suppress noise from the background to maintain audio quality. For your money's worth, you can expect a perfect sound in videos you've created. The Rode RodeLink FM Wireless Filmmaker System is another contender on the list of the best lavalier mic for film in 2018. This clip mic is made by the Australian audio company, RØDE and it is quite popular among Amazon users for its reasonable price tag and high-end features. 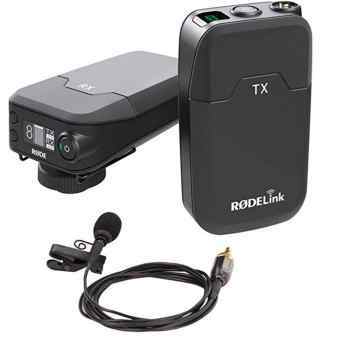 Packaged as a set in the Rode's filmmaker to enable you shoot videos wirelessly, are a receiver, transmitter, and broadcast-grade lavalier microphone. The receiver has an OLED display which shows the audio level, battery level, as well as mute and channel selection. The transmitter (TX-BELT) has a lightweight of 190g which makes it easy to carry about for a long time. It can be easily fitted to the belt or clothing without causing discomfort and its locking thread ensures that the cable os securely connected to the transmitter. The Rode's lapel microphone has a weight of 1g which is light enough to be non-obstructive. The RodeLink Filmmaker is an omnidirectional lavalier microphone whose diaphragm is equally sensitive to sound coming from all directions. The mic can still pick up sound irrespective of where the speaker is facing and you can have the highest possible audio reproduction quality even when the speaker moves their head. Frequencies between 60 Hz to 18 kHz can be picked up by this lav mic which will ensure that whether the subject's voice is high or deep, the mic can still produce a leveled sound. The Rode also features a series II 2.4GHz digital transmission with 128-bit encryption which hops between frequencies in realtime and selects a clear channel to ensure that you get the best audio quality. Rode's TX-BELT transmitter comes with an internal antenna which can cover up to 100 meters between the transmitter and the receiver before the signal is lost. Thus, you can walk around freely without cables restricting your movement and the distance you can cover. This transmitter also has a 3.5 millimeter TRS socket with dual mono output that sends radio signals to the receiver. Via a 3.5mm TRS Locking Jack Socket input connection, the receiver then sends the radio signals to the camera or recording device. Additionally, both the transmitter and the receiver can be powered using a micro USB or 2 x AA batteries. You can expect a long battery life of about 30 hours with either of these devices. The receiver can support up to 8 transmitter channels at a time without any loss in audio quality. Like Sennheiser, another popular brand when it comes to audio equipment is Audio-Technica, a Japanese company that specializes in the design and manufacturing of headphones, microphones, magnetic cartridges etc. The Audio-Technica System 10 ATW-1701/L is an excellent cordless lav system that you might also come to love as we have. Packaged as a kit, you'll find a handheld mic (ATW-1702), lapel microphone (ATW-1701/P1) and as a bodypack transmitter (ATW-1701). Its receiver has a weight of 105g, which makes it a very light device to mount on your camera or on a DSLR without significantly increasing their overall weight. Same can be said about the clip mic which is small enough to even look insignificant. The System 10 uses a 2.4 GHz frequency band to automatically adjust to an ideal channel before any interference from DTV or 4G can be audible. This is to ensure that you get the highest possible audio quality even when up to 8 systems are used at a time. Its automatic frequency selection and instant timing make this microphone system easy to use and reliable. The system 10 has a digital wireless operating range of 24-bit / 48 kHz and this can provide you with an acceptable level of sound quality. 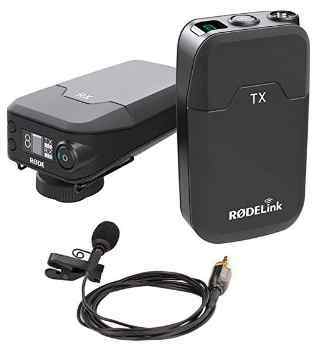 The Transmitter features a 3.5 mm mini-jack audio output that connects to the receiver to transmit audio signals and the receiver features several mounting options in a bid to accommodate a variety of cameras and recording devices. The System 10 also comes with a built-in battery that can provide up to 12 hours of battery life. In comparison with the Sennheiser AVX, it is less expensive but still holds a promise of portability and great sound quality. Packaged in its set, are an EK 100 G3 diversity receiver, SK 100 G3 bodypack transmitter, ME 2 clip-on microphone, output cable, 100 XLR cable, and a CA 2 camera adaptor. To blend into your clothing and be nonobstructive, this clip-on mic has been made to be nearly invisible. For durability and a premium design, both devices have a metallic casing. The ME 4, is an omnidirectional microphone which is sensitive to sound that is coming directly in front of the mic, from the sides, and even from behind the mic. The advantage to this polar pattern is that the sound levels will be consistent even when the speaker moves their head away from the speaker. This lav mic is suitable for filmmaking given that audio clarity will be maintained irrespective of the angle the mic is positioned. To maintain audio quality and prevent audible interference, there is an automatic frequency scan feature which searches for available frequencies. Unlike most clip mics, the transmitter of this mic comes with an auto-lock function to prevent the settings from being manipulated accidentally. The frequency response of this microphone ranges from 80 - 18000 Hz and this increased range makes for audio sensitivity. 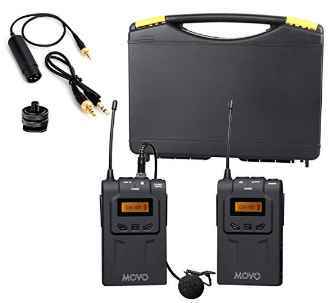 The Movo wmic70 wireless 48-channel UHF is a budget-friendly wireless lavalier mic that is cheaper than the Sennheiser AVX, Rode Rodelink, and even the Audio-Technica system 10. If you're on a tight budget but you still want the best wireless lavalier microphone under 200 dollars which can deliver superb audio quality, here's one you should check out. It can be used for film production, youtube videos, performances, public speaking etc. to deliver the best audio levels. The WMIC70 transmitter and receiver both have a dimension of 4.2" x 2.6" x 1.1" and without batteries, they weigh 95g. This makes both devices lightweight and portable enough to be handled easily. You get a transmitter with a belt clip, a receiver with camera mount, and a Mic clip. Like the aforelisted lapel microphones for film, this one also has an Omni-directional Polar pattern which makes the mic's diaphragm sensitive to sound coming from all directions. The Movo WMIC70 operates in the UHF 500 MHz bandwidth which allows it to cover a greater range compared to a VHF system. It has a frequency response of 60Hz-15 kHz, a frequency range of 35Hz ~ 18 KHz, and its transmitter can cover a range of 328 foot. Threfore, you can move around freely without any signal distortion given that there are 48 selectable channels. Powering its transmitter and receiver, are two AA batteries that support up to 8 hours of run-time before there is a need to recharge. How Were These Lapel Microphones Selected? In selecting the best lavalier microphones in our guide, the following factors were put into utmost consideration. You can also use them in choosing the best lapel microphone in 2018. The major reason why you'll buy a microphone in the first place is its ability to amplify sound. Even a cheap wireless lavalier microphone can do this but it has its limitations and that is why you need a microphone that has overcome most of these limitations to give superb audio quality. One of such is the use of an omnidirectional polar pattern that will make the clip mic sensitive to sound coming from all directions. The microphone system must be able to automatically select the ideal channel in order to minimize distortion. Our selected audio equipment for film take advantage of this polar pattern. They can block noise from the background and also prevent audible interference. Whether it's you or a speaker in your documentary film that will be using the mic and its transmitter, it must have a lightweight and a portable size. A non-obstructive clip mic as well as a transmitter that can be carried about with ease. It is important for the receiver that will be mounted on your camera not to add significant weight to it. We have selected devices that do not weigh a ton, especially clip-mics that may not easily be noticeable by an onlooker. As with sound quality, you need a wireless lavalier mic that will give you freedom of movement instead of being confined to one spot to avoid tripping on cables. Your choice of a wireless lav mic will depend on the area (small or large) you want to use it with. Nevertheless, we have selected microphones that cover a longer range even up to 328foot as is the case of the Movo wmic70. Yes, they all look good and hold a promise of offering the best sound quality. But there's the honest review of several dissatisfied customers who have bought a low-quality product to let you know what you'll be getting yourself into. That is why, in the hours we've spent researching for our best 5 Lavalier microphones, we have also taken into consideration the reviews and recommendations of buyers on Amazon. This helped us to determine if their specs were on par with their price and real-life operation. Most buyers were impressed and gladly recommended it. As is the case of any product, you can't please them all since there'll always be an unsatisfied customer whose expectations were more than what he/she paid for. While it is good to have the best picture quality in your videos in order to keep your fans entertained, it is better to have the best picture quality as well as an excellent audio quality. This can be achieved with the use of one of the best wireless lavalier microphones for filmmakers which we have selected and reviewed based on their specs and real-life operation. Do you have an excellent camera for film production? Then the highest quality lavalier microphone which can amplify sound with consistency and also block out background noise will be your best buy. If you agree, take the next step and buy one of these lapel microphones from Amazon, Walmart, or eBay.